Fires can happen suddenly with little warning and the damage they leave behind can be devastating. Soot and smoke damage will continue to spread after the fire and if the home or building is not restored quickly enough, the etching from the damage will become permanent. 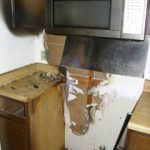 RestorationMaster of Reno, NV provides fire and smoke damage restoration services to help homes and businesses in Reno recover after a fire. 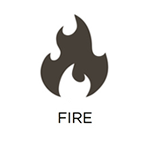 Our trained professionals can repair and restore damage caused by fire and remove the smoke smell from your home. 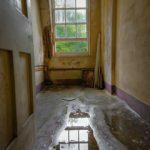 Water damage in its various forms is very common in homes and buildings as it can be caused by leaks, flooding, heavy rain, or excess moisture. 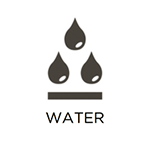 When water damage occurs, it is important to react as quickly as possible because the water will continue to be absorbed by building materials and spread throughout the building. RestorationMaster provides professional water damage restoration and cleanup services to homes and businesses in Reno, NV. We can completely remove the excess water or moisture from the building materials of your home or building and repair any damages. 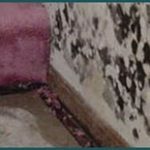 Mold growth is an outcome of water or moisture damage and it not only causes destruction to property as it spreads, but it can also trigger allergic reactions and infections with its spores. 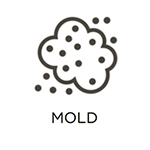 It is important to address mold growth as soon as it is discovered because it will continue to spread throughout a building until it is removed. RestorationMaster provides mold removal services for homes and businesses in Reno, NV. We have the proper training and equipment to safely remove mold and contain it to the affected areas. When a major disaster such as a fire or severe storm causes significant damage to a home, the home is often left exposed and unstable. The most important priority after such a serious disaster is to secure the home to prevent further damage until it can be repaired and restored. RestorationMaster of Reno, NV provides emergency board up services to secure homes in Reno, NV that have sustained severe damage in a disaster. Our experienced technicians can secure your home so that it is stable until it can be properly restored. Moving is no easy task as it takes a big effort to relocate your family and your belongings and if you are only moving temporarily to allow your home to be restored after a disaster, the stress factor can add to the difficulty. RestorationMaster provides packing and moving services for homes and businesses in Reno, NV that are moving permanently or temporarily following a disaster. We will carefully pack and inventory your important personal belongings and bring them to our secured storage facility for restoration and safe keeping until you are ready to take them back. If you have heavy construction work done to your home or office, the area is usually not safe to enter afterwards because dust and building debris such as nails, screws, and scrap parts may still be left behind. RestorationMaster provides post construction cleaning services to clean up commercial and residential construction sites in Reno, NV and make them safe to enter. Our technicians have the training and proper equipment to remove left over construction debris and clean the entire area. The windows in an office building are the one medium that allows natural light into the work space but if your windows are dirty, it can limit the amount of light coming in and diminish the appearance of the building. RestorationMaster provides commercial window cleaning services for businesses in Reno, NV. We can remove dirt and oils from a variety of commercial window types to improve the look of your building inside and out. The behaviors associated with hoarding disorder are well known but few understand the serious implications that these behaviors can have. 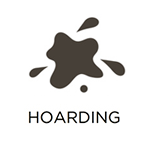 People that struggle with hoarding will collect any objects without throwing anything away and the hoard that builds can increase fire risks, block access through the home, and lead to unsanitary living conditions with negative health effects. RestorationMaster provides hoarding cleaning services in Reno, NV to help clean out and restore the homes of hoarders to safe living conditions. We take an approach that emphasizes treating the individual affected with compassion and respect and our technicians are prepared to clean up even the most extreme cases. 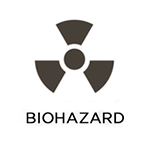 Biohazard materials such as blood and bodily fluids are common at trauma and crime scenes and they make the area very dangerous because of the risk of infection or disease. Other biohazard materials including sewage, mold, and chemicals are also dangerous and should be cleaned up by a certified professional. RestorationMaster provides biohazard cleaning services in Reno, NV to effectively clean up a variety of biohazard materials from blood and bodily fluids to sewage backups. Our technicians have the certification and equipment to handle the cleanup and disinfection of the scene and we also cooperate with law enforcement for crime scene investigations. Natural disasters often cause significant damage to your personal items as well as the home itself which can add to the stress to the situation. Your personal belongings can sustain damage from water, mold, fire, and smoke which will become permanent if they are not cleaned and restored fast enough. RestorationMaster provides content cleaning and pack-out services as part of our disaster restoration services in Reno, NV. We will clean and restore your damaged items in your home but if the home is in unstable condition, we can pack-out your items for restoration at our facility. "Fast service and friendly, setting our minds at ease while doing the work. They explained what they were going to do step by step." "Great company that handles the job . But if you want it handled rite ask for Eric . He’s a hard working son of a gun." "Fast response, friendly and professional."